This will be the last post for my blog at this location. The new blog is surprise surprise guthriewatson.wordpress.com. I know I can tell your all shocked! 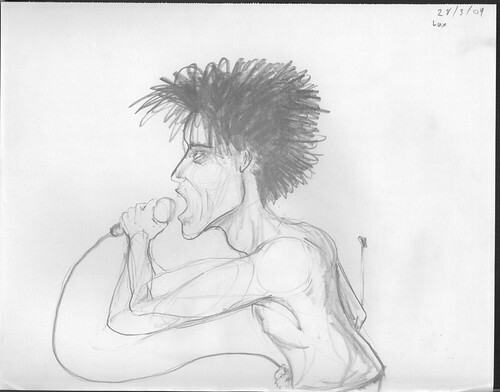 Anyway here’s a quick sketch that I’m going to us as a basis for a digitally painted portrait of the late Lux Interior. It’s a composite of about fifty photo’s and my memories of the pasty white boy rocker!